The theory of evolution and naturalism’s (or materialism’s) public attachment to it, is currently one of the most significant challenges to the Muslim world’s understanding of Islam. This isn’t because the theory of evolution can disprove Islam, but rather it has been hijacked by naturalists/materialists (Atheists) and claimed as an ‘invalidation of religion’ which was spun by them as an alleged example of ‘science’s battle with religion’. Some American Protestant sects have reacted prominently to the claims of naturalists by using and permeating erroneous arguments to defend their sect’s readings of the Bible. Their misformed arguments unwittingly undermined the public perception of Christianity and created a current of secularisation in the West where many renounced Christianity and religion itself. When Darwin’s theory of the processes behind evolution was first encountered by the Muslim world in the 19th century, Muslim research into it was funded by the Ottoman Caliphate under Sultan Abdul-Hamid 2nd and this led to the development of a nuanced understanding and response to it. However, after the fall of the Caliphate in the early 20th century, the state of ignorance increased in the Muslim world. Muslims then resorted to directly imitating the poorly researched polemics of the aforementioned American Protestant Christian sects against the theory of evolution, despite their deficiencies and non-Islamic basis. The naturalist dominated study of the sciences, together with the theory of evolution and the deficiency in Muslim discourse, then began to impact the Muslim world as it did Protestant Christians in the West. This problem could’ve been easily prevented had Muslims endeavoured for themselves to investigate Darwin’s theory of evolution from our own point of view, and not with the assumptions by some of the American Protestant Christian movements who fell into the trap of taking the theory of Evolution to be a clash between Theism and Atheism. Present a clear, orthodox Islamic explanation from the Quran and Sunnah of the evidences and facts. The theory of evolution is a theory that argues that all species of living things change over time, some becoming new species, and that all species may share a common origin. The theory of abiogenesis goes a step further and posits that all living things emerged initially from non-living (inanimate) matter. What most people don’t realise is, Charles Darwin was not the first to speculate that living things change over time to become new species, nor that living things emerge from non-living (inanimate) matter. These theories have been argued before in the past, long before Charles Darwin. However, in the 19th century, materialists used these arguments to claim there was a clash between science and religion, and argue that religion had been debunked by these scientific theories. The materialist assault on religion using the theory of Evolution, was combined with the growing studies questioning the reliability of the Bible, and led both to the secularisation of the West and the decline in religious adherence and belief. Muslims born into post-colonial times, from the 20th century onwards, currently lack a robust response to the claims by Atheists, and have sadly resorted to imitating American Christian sects who have been known for using dubious arguments against the theory of evolution. This is beginning to exacerbate the same effect of secularisation in the Muslim world as had occurred in the West, and Muslims have failed to demonstrate uniqueness in this field and produce a researched Islamic response based upon classical Islamic orthodoxy. It is therefore a matter of urgency, that Muslims engage in a dedicated and systematic study into the theory of evolution, the evidences claimed to support it, and the classical Islamic position that can guide our understanding of the reality of the world Allah (swt) created, and also provide Muslims with a response. The theory of evolution basically posits that all species of living thing change over time. In addition to this, the theory of Darwinian evolution explains the diverse species that exist developed from a common ancestor. The theory of abiogenesis goes a step further and posits that the common ancestors of living things emerged (gradually) from basic non-living matter. Genetic Similarity. The similarity in number of shared genes proportional to claimed ‘closeness of relation’ on the evolutionary family tree model between two species. Identical Retrovirus inclusions. Retroviruses are virus genes that when infecting a host, usually insert themselves, it is believed, randomly into a specie’s genome and becomes passed on to offspring with reproduction. These retroviruses have been observed to be shared and in the same locations in the genome between species in rates proportional to the believed ‘closeness of relation’ on the evolutionary family tree model between two species. Inactive Genes. Evolutionists believe that inactive genes in a species’ genome have no other explanation for their existence, other than that they came in use during a past evolutionary state of that species. One example cited for humans, is that humans have an inactive gene that allows them to create vitamin C without needing to ingest it from food. The observation of redundant ‘vestigial’ parts of a specie’s anatomy, that are argued to have had a use in a past environment and previously evolved state. The existence of fossil records for hominids of what Western scientists have described as homo sapiens but ‘pre- modern humans’. The existence of fossil records containing similar and different animals and plants to what exist today, and the absence in these records, of many cases of modern animals and plants that exist today. The studies of embryology and the claim that this illustrates a microcosm of that specie’s evolution, exhibiting similarities between claimed pre-evolved species during gestation at different stages. The similarity between the physical appearance of two species (morphology). The small changes and adaptation exhibited by a specie’s characteristics over time (Microevolution). The claim that the human chromosome is best explained by a chromosome fusion that occurred in pre-human apes. As will be demonstrated below, most of these issues (with the exception of the Genes) have been known for quite some time. However, as you will see, the issues aren’t really problems for the Islamic worldview, but may have represented problems for Christians, which some unwitting Muslims erroneously believed also applied to them. Throughout history, some Pagan and Christian scientists speculated that animal and plant diversity are the result of a hierarchy of created things. Some have also argued that that may have all emerged from the basic matter of the universe. Plato (d. 347BC) and Aristotle (d. 322BC) believed that animals were created with purpose, and formed a hierarchy of created things. While Plato believed they did not change or transform, Plato believed animals were created by divine agency. Other Greek philosophers, like the epicureans, believed it was possible for species to change, and life to emerge from inanimate matter, but fully formed, called spontaneous generation. It is possible that Roman stoic thinkers were influenced by Greek thinking, and adopted Aristotle and Plato’s beliefs that animals were in fixed forms, and emerged or were created with purpose. This school, championed by thinkers Cicero (d. 43BC), Pliny (d. 113) and Seneca (d. 65), is believed by historians to have had a significant impact on Christian thinking. However, not all Christian thinkers adopted this idea. The notable Christian thinker, Augustine of Hippo (d. 430), wrote of the potential of change in animal species over time from the starting conditions of God’s creation. Augustine still believed in the creation of Adam (a.s.) by God. Augustine and Origen (d. 254), believed that the ‘six days’ of creation were not 24-hour days. Muslims studied the texts of the ancient Greeks, or made their own observations about the natural world from direct experience. In the classical Islamic era, Muslim thinkers like Al Jahiz (d. 868), Ibn Khaldun (d. 1406), al-Tusi (d. 1274) and Al Miskawayh (d. 1030) and the group known as ‘the Bethren of Purity’ also put forward theories of the hierarchy of all created things. These thinkers appeared to explicitly argue of the development of animals from plants, and plants from inanimate objects. Ibn Khaldun, for example, posited the gradual process of creation. He also appeared to write that man developed from animals, but also affirmed the creation and existence of Adam (a.s.) as the father of all mankind. None of the Islamic thinkers publicly denied the existence of Adam (a.s.), nor the account of his creation in Islamic sources. Some historians have speculated that the ideas of some Muslim thinkers, were more about philosophical hierarchy of creatures, and spiritual development, rather than physical changes. Others believe that these early Muslim thinkers believed in a general rule of evolution with regards to all life, but made an exception for the creation of Adam (a.s.). While there was only limited evidence at the time that needed explaining (e.g. the diversity of animal and plant species), the limited discourses by these thinkers demonstrate that the idea of animal evolution (and abiogenesis) are not new ideas in the world, and were known to Muslim thinkers in the past, who responded in different ways, but none negating the existence and creation of Adam (a.s.). Prior to the mid-19th century, the popular view in Protestant Christian countries after the renaissance, was the theory that would later be called ‘Young Earth Creationism’. Unlike the Catholic discourses which were based upon Catholic Apostolic tradition to supplement the interpretation of the Bible (in Latin and Greek), the Protestant discourses were based upon a reading of the Bible alone without need of other sources[which they called ‘sola scriptura’]. This increasingly became the case after Protestant translations of the Bible from Latin into the vernacular european languages appeared at the time. The theory of the age of the Earth that arose from this, was that the earth was roughly 6000-10,000 years old based upon an estimated calculation of an average lifetime and the alleged genealogies of the Prophets and Kings of Israel up until Adam (a.s.) as described in the Old Testament Bible. Furthermore, Protestant readings of the Bible, believed that animals were created by direct divine creation (i.e. animals popping into existence). The questions of the age of the Earth, how to interpret the ‘six days’ of creation, and how life diversified, was not something commonly agreed amongst Christians. Many Christians during the renaissance were uncontroversially able to hold different interpretations on these questions. Many 19th century scientists, like Jean-Baptiste Lamarck (d. 1829), Erasmus Darwin (d. 1802) and Robert Chambers (d.1871) and many others had already theorised the changes of species and their historical development into modern animals before Charles Darwin. Charles Darwin’s only unique contribution to the ongoing discourses on evolution, was the ‘theory of Natural Selection’. This theory didn’t newly claim that species change into new species, but rather explained only a new mechanism for it. The mechanism he proposed, was that mutations occur in a creature before it is born, and if these mutations are ‘useful’ or ‘helpful’, it would aid the creature throughout its lifetime to survive and reproduce. This would then, according to Darwin, result in useful changes being passed on to the next generation of creatures, and slowly the species would change into a new species. However Darwin wasn’t the only individual to come up with this idea either. The year before Charles Darwin published his famous book explaining this theory ‘On the Origin of Species’, the ideas of Natural Selection were already mentioned by Alfred Russel Wallace in his work ‘On the Tendency of Varieties to Depart Indefinitely From the Original Type’ in 1858. However, as the 19th century progressed, a number of Naturalist (materialist) movements became increasingly popular which sought to challenge theism and Christianity in particular. The Naturalist speculation on the common origin of all animals, and the early history of mankind, began to be used as intellectual weapon against theism (despite the fact that many theists believed in it themselves). The theory of Natural Selection, has been rightly referred to by historians as the Darwin-Wallace theory. However, Wallace was a ‘spiritualist’, and did not believe in Naturalism (i.e. Materialism) as the only explanation for the phenomena in existence. Charlies Darwin, who was an agnostic on spirituality, when he published his book in 1859, received significant support from prominent naturalist organisations, like the X-Club, which was led by the infamous naturalist, Thomas Henry Huxley. Huxley used Darwin’s idea in a novel way, to undermine religion and Christianity in the West and ‘Secularise the sciences’ (i.e. Scientific Naturalism) which helped precipitate a secularisation of Western society in many countries. The key naturalist use of the theory of Evolution and natural selection, was not to report a simple natural process, but to supplant the belief of divine guidance in the universe, with random chance and a naturalist new lens with which to look at human purpose; survival and reproduction. This created a suspicion amongst many Christians behind the promotion of Darwin’s theory, and led to many Christians to begin openly oppose it. In essence, because the Atheists claimed the theory of evolution supports them, many Christians automatically jumped to reject it. This led to the famous 1860 Oxford evolution debate between Thomas Huxley and Bishop Samuel Wilberforce. Despite the Bishops use of scientific criticisms of the theory, his position as a Christian Bishop, was spun afterwards by his opponent Huxley as a ‘science vs religion’ debate. This was despite the fact that many non-clerical scientists raised criticisms against Darwin’s theory. Darwin’s colleague, Alfred Russel Wallace challenged Darwin on one idea, that of the human being, its intellect, mind and morals – which, according to Wallace, singled mankind out from animals, and may have had ‘spiritual’ causes, and not naturalistic ones. In response to Wallace’s criticisms, Darwin published a book ‘The Descent of Man’ to primarily argue that the faculties of mankind were just one end of a scale of intelligence shared with animals, rather than a completely different faculties altogether. The Catholic Church remained silent on the discussion, leaving Catholic adherents to adopt any position they wanted. The Anglican Church adopted liberal positions on a number of theological points, effectively embracing a metaphorical interpretation of Adam (a.s.) – as not strictly a historical person by as a metaphor for mankind. Prominent Christian scientists, like the acclaimed Botanist Asa Gray, argued for a compatible approach between the theory of Evolution and Christianity. This developed the basis of what would later be called ‘Theistic Evolution’, where an ‘old earth’ was accepted, and evolution was accepted as the natural process by which God brought about all of creation. Adam (a.s) was generally believed also to be a metaphor by this school. Another strand of interpretation solidified over this time, (now) called ‘Old Earth Creationism’. This strand of interpretation accepted that the earth was millions of years old, and that evolution was a possible way that species were diversified. However, their difference with Theistic Evolution, was that they believed that God was actively guiding the process of Evolution, or creating new species over time by Divine intervention, and not leaving it to chance and foreknowledge. This school of thought held differing positions about Adam (a.s.), with many believing that Adam (a.s.) was created outside of Evolution by Divine intervention. However, the ‘Old Earth’ school of thought began to be eclipsed by the growing and highly vocal American Christian groups, who responded to Darwin’s theory by outright denying or rejecting the theory of Evolution – citing moral and theological reasons for their rejections without giving any additional sound a scientific reasons, which ultimately led to a public ideological clash with the naturalists, who actively portrayed their opponents as being a demonstration of theology’s opposition to science. This ultimately began to erode the public esteem of Christianity in education, and led to increased Secularisation of the public credence in religion. By 1915, a set of 90 essays in a 12 volume set that was published titled ‘The Fundamentals: A Testimony To The Truth’ and was composed of works from 64 prominent authors representing the major Protestant Christian denominations in the USA. The works dealt with a number of positions, including promoting the inerrancy of the Bible (i.e. the book itself being the literal word of the God cover to cover, uncorrupted, unaltered and unchanged by human hands). These works included an entire volume (Volume 8) mostly dedicated to a response to Darwinism. The Fundamentals, began a Protestant Christian movement that would react to the naturalists and atheists (and Catholics and Liberal Christians) by defending the inerrant nature of the Bible, and defending a particularly Protestant interpretation of the Bible re-emphasising their interpretation of the apparent meaning of its texts. The movement that was spawned by this work, became known later as Christian Fundamentalists (which added the worded fundamentalist into the English language). The subsequent decades saw intellectual clashes between the Fundamentalists and atheist, agnostic and Liberal Christian thinkers, called by historians ‘the Fundamentalist-Modernist controversy’. As the 20th century progressed, scientific advances in genetics began to pile more evidence that was used by naturalists (and theist evolutionists) to support the theory of Evolution. The Darwinian theory of Evolution underwent changes to incorporate the study of genetics, and Darwinism has been changed and expanded into a updated theory of Evolution called the Modern Evolutionary Synthesis theory, which itself is being modified to fit new evidences that challenged its initial assumptions. As the 20th century continued, the theory of evolution became accepted in the West as a more likely explanation of the evidence than other theories. A number of Christian protestant movements from American Baptist Christian backgrounds, assumed a reactionary position to materialism in the opposite extreme, adopting a particular interpretation of the Bible, and launching a disinformation campaign using contrived scientific arguments to discredit the materialists and their spin on the theory of evolution. Due to the campaigning of the Christian Fundamentalists, three U.S states passed laws banning the teaching of Evolution in public schools. In 1925, these laws were first tested in the State of Tennessee v. John Thomas Scopes trial, which despite being a trial on whether a teacher had illegally taught ideas ‘contrary to the biblical account of the creation of man’ or not, the defence lawyers turned it into a trial on the scientific validity of Evolution. The trial received widespread press, and despite the teacher being prosecuted (with a fine), the trial’s conclusion began to turn widespread public opinion against anti-evolution laws. In 1967, the teacher Gary L. Scott of Jacksboro was fired from his job due to breaching the law. He challenged the law saying it contradicts the U.S. Constitution’s provisions of Free Speech. The law was repealed soon after. In the 1960s, a leading proponent of Young Earth Creationism, Henry Morris developed and promoted a ‘science’ called ‘Creation Science’, which consisted of attempts to interpret the geological, fossil and genetic records to prove the four points (above) that distinguished Young Earth Creationism from other Christian positions. In the 1970s, Christian Fundamentalists attempted a campaign to introduce ‘Creation Science’ into American public schools to be taught alongside the theory of Evolution. This was ultimately defeated in the McLean v. Arkansas Board of Education case in 1981, where it was judged that the doctrines were not science, but theology, and therefore not to be taught in biology classes. This left only private Christian schools to have the option to teach it at their discretion. In 1984, the creationist Charles B. Thaxton published the book ‘The Mystery of Life’s Origin: Reassessing Current Theories’, and repackaged Young Earth Creationism as ‘Intelligent Design’ (ID). ID differed from Young Earth Creationism only in the elimination of Biblical references or mentions of God, leaving only the conclusion that life was created by an Intelligent designer. This was then promoted by Christian Fundamentalists in the U.S. as a suitable ‘non-religious’ theory that can be taught alongside the theory of Evolution in public schools. However, recently in 2005, in the case of Tammy Kitzmiller, et al. v. Dover Area School District, et al led to ID being judged to be a form of Creationism, and was again rejected to be taught in public schools. The clashes between the American Christian Fundamentalists and Naturalists continue to this day – and are part of what’s been called the American Culture Wars, between the religious right-wing (Republicans) and the left-wing (Democrats). Athough the first Arabic translations of Charles Darwin’s origin of species didn’t appear until 1964, a partial translation was made in 1918 by Shiblī Shumayyil, a Secular agnostic of Catholic background, who graduated from the Syrian Protestant College. Darwin’s theory of Evolution was introduced to the Muslim world, mainly as a materialist anti-religious theory, used by Secularists and Atheists to critique Islam, or subvert religious based society and government. This caused an immediate reaction that wasn’t based upon scientific critique of the theory, but more targeting the Materialism/Atheism of its proponents in the Muslim world. In 1878 and then in Arabic in 1885, Jamal al Din al Afghani (d. 1897) published a book responding to the theory of Darwinian Evolution called ‘The Refutation of the Materialists’. The book didn’t put forward any scientific arguments or deal with the alleged evidences cited by Darwin. A number of years later, at the influence of Mohammed Abduh (d.1905), he wrote a book called Ideas, where he separated the Darwinian Theory of Evolution from the ideology of the materialists, and argued that (animal) Evolution was compatible with Islam. Other intellectuals argued that Evolution should be considered and tested separately from ideological biases of materialism and Atheism, but these voices were in the minority. In 1887, Ḥusayn al Jisr (d. 1909) publish the book, ‘the Hamidian Treatise on the Truthfulness of Islam and the Sharia’, that dealt with the known evidences at the time that were cited by Darwin as a proof of Evolution, and concluded that the theory of Evolution was only an unproven speculation. Jisr also dealt with the Islamic source texts, and concluded that even if Darwin’s theory of Evolution were true, it would not contradict the Quranic verses or definite hadith related to the creation of the universe and life. Jisr concluded that the explanation of origin of mankind in light of the fossil evidence cited by Darwin, might be something that requires further interpretation. Jisr’s work was the first of its kind to consider both the alleged scientific evidences for Darwin’s theory of evolution, as well as the Islamic sources that would be relevant. For his efforts, he received an award from the Caliph Abdul-Hamid 2nd. While Jisr’s work was one which correctly divorced the ideological bias of materialism from an objective consideration of Evolution as a theory of change within biological world, and looked solely at the Islamic sources and the fossil evidences, Darwin’s Theory of Evolution has changed over the last 120 years due to the discovery of genetics, new fossils and new scientific methods and measurement technologies. Jisr’s methodology, while something that was appropriate for its time, needs to be updated. Furthermore, Jisr did not consider the possible explanations that Islam could uniquely offer that would be different from Christian theories, but better fit the evidences, without compromised orthodox Islamic beliefs. Jisr’s work is something that would require updating for the 21st century by means of this proposed project. However, after the fall of the Ottoman Caliphate, Muslim intellectual efforts appeared to regress, with no further objective scientific critique or the newer evidential claims to evolution being challenged or objectively investigated beyond wholesale borrowing from Western discourses, whether Christian or Atheist. Evolution continued to be critiqued as an Atheist or Materialist morality system (which the scientific theory of Evolution is not connected to), without the actual scientific theory being engaged. In recent time, Professor of Islamic Studies at George Washington university, Seyyed Hossein Nasr, argued against Evolution mainly from a philosophical viewpoint, against the materialism and atheism associated with it through its proponents, without addressing the alleged scientific evidences. The Turkish author, Adnan Oktar, aka Harun Yahya, borrowed heavily from Christian creationists literature, using it to publish 150 publications worldwide (predominantly targeting the Muslim world). He also invited Christian creationist scientists to a conference held in Turkey. Oktar not only borrowed creation science, but also used anti-materialist arguments against evolution, which should have nothing to do with the theory of evolution itself, but only serves to strengthen the Atheists and Materalists when they claim that the theory of Evolution, even for animals, is a proof of their worldview that God doesn’t exist. Oktar’s borrowing of Christian creationist science had the additional effect of repackaging dubious, non-objective scientific interpretations based upon Christian Biblical assumptions, co-opting it for Muslim use and adoption. On the other end of the spectrum, are agnostics and secularists from Muslim background, who have accepted uncritically the theory of Evolution (including that of mankind), and argue for a metaphorical re-interpretation of all Quranic verses even those clearly intended to be apparent (dhahir) in meaning. This approach is then used by Islam’s detractors to portray the Quran has an unclear book that produces misguidance – which produces doubt in the minds of Muslims. 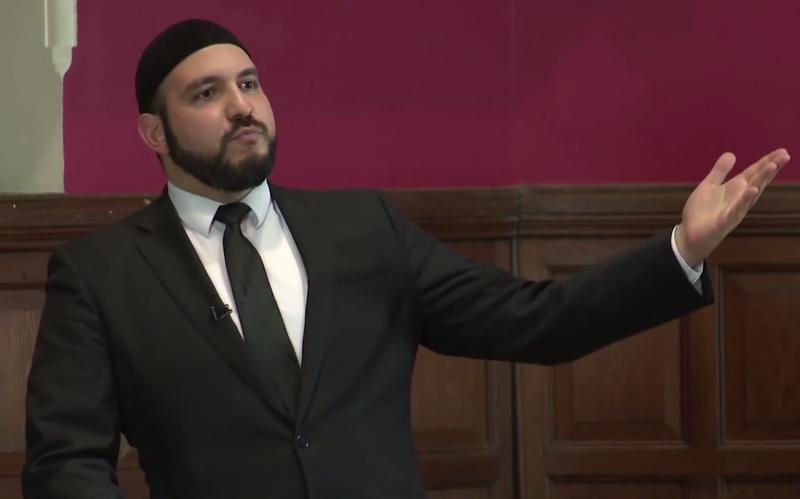 An authentic Muslim response to Modern Evolutionary Synthesis Theory, based upon orthodox Islamic sources therefore is still lacking, and use of Christian Fundamentalist assumptions may have put Muslim intellectual discourse onto the back foot. In recent times, Muslims consider the theory of Evolution dismissively as merely just materialist philosophy, and didn’t investigate the science objectively to produce a better criticism and objective explanation for the physical evidences. Others lazily resorted to borrowing American protestant Christian polemics against evolution without studying the concept independently, nor consulting the Islamic position, unwittingly influencing Muslims with American Protestant interpretations of the Bible. This has led to Muslim apologists and scholars being misinformed about the theory of Evolution and how to engage it from the Islamic position. This begun to result in many Muslims (needlessly) leaving Islam due to inadequate arguments and unanswered doubts inspired by materialism’s perceived attachment to the science and the theory of evolution. Scant, Limited or Inaccessible Objective Discourses on Evolution. Any useful and accurate research by Muslims written on the evidence used to base the theory of Evolution is scant, limited in scope and without regard to popular accessibility. Use of Dubious and Biased Pseudo-Scientific arguments by [Christian] Intelligent design “Creationists”. Much Muslim argument against evolution is regurgitated repackaged American Christian polemics, many of which have been seriously challenged by evolutionists. This highlights the key problem of Muslim dependence of Christian apologetics and polemics. Sadly Muslims have continued to depend upon such methodologies – and when pressed upon these inconsistencies are normally incapable of explaining how they are being fair or objective. Lack of a Detailed Explanation of the Islamic Position. A deeper response for the Islamic perspective has been lacking. While the veracity of Evolution has yet to be established with absolute certainty, Muslim intellectual leaders have not been able to produce a more detailed discussion of a possible Islamic position on the objective evidences and fossil records, beyond dismissing the subject. Muslim overuse of the morality arguments against Evolution. The theory of evolution cannot be effectively refuted using morality arguments, since many materialists are willing to accept that morality has no intellectual basis, nor does the need for morality invalidate what they consider to be the history of the natural world. The Theory of Evolution merely posits that species change over time, while the theory of Abiogenesis posits that life emerged from inanimate matter, e.g. water, mud, stone etc. Islamic doctrine and scriptures do not describe ‘how’ God created animals, or life in general in the first place. While the theory of evolution of animals and abiogenesis may be right or wrong, whatever the truth of these things, they simply cannot impact on the Islamic belief, as the Islamic sources are ‘silent’ on the ‘howness’ [kayfiya] of God’s creation of these things. The Quran and Hadith discuss that God created all life from Water, by His will – which is a position that the study of biology has tended to agree with (i.e. that life emerged from water-based environments). The main point of contention between Materialists and Muslims, is only the creation of Adam [a.s.]. More specifically, the Islamic position that he [a.s.] was created by Allah [swt] without parents. This last point is the only issue relevant for Islam, which differs quite considerably from the American Protestant Christian positions. Atheists and Secular agnostics have exploited a lack of a coherent and popular response from theists to the evidences claimed to support evolution, by arguing that this ‘demonstrates’ a ‘clash between religion and science’, and ‘science has disproved and negated religion’. Muslims faced with such a polemic have experienced cognitive dissonance, and many have doubted the Islamic narrative as a result. In addition to this, many Secularisers amongst the Muslim community (i.e. modernists/reformists) have exploited the lack of a clear response by post-colonial Muslims, to advance their secular reform agenda, namely, to obliterate the apparent reading of the Quran where the Quran speaks of laws and guidance that Secularists perceive as contradictory to Secular Liberalism. In order to achieve this, Secular Reformers attempt to undermine use of the apparent reading of the Quran by claiming that evolution contradicts the apparent meaning of the Quran, and therefore they tell Muslims to cease reading the Quran in its apparent meaning, claiming that Adam (a.s.) wasn’t a historical person, but a ‘metaphor’. The claim that Evolution contradicts the apparent reading of the Quran, has allowed modernists to argue that the rest of the Quran and other Islamic textual sources should not be interpreted ‘literally’. The purpose behind this is to allow them to negate the Islamic laws mentioned in the Quran which contradict with Secular Liberal ideas – the process of which they call a ‘reformation’. Not only does this weaken the timelessness and ‘mubeen’ (clear) nature of the Quran, but it is also used by anti-religion Atheists to claim that religion is deficient and has always had to amend itself when faced with new scientific discoveries, and therefore cannot be a guide to mankind, nor of divine origin. This is how Secular Reformers unwittingly cause Muslims to leave Islam, despite their claims that they are attempting to harmonise Islam with Science. Objectively examine the material evidence that is claimed to support the theory of animal and human evolution, and report the conclusions.This involves objectively examining and reporting clearly on the material evidence for the theory of animal and human evolution, and the conclusions and level of certainty that can be objectively derived from the evidences. This needs to account for the historical changes to the theory of Evolution, from the time of Darwin until now – and demonstrate how new evidence has forced the theory of Evolution to be changed to fit new discoveries, and how there are still many things we still don’t know about genetics and mutation. Detach the popular understanding of Science (including the theory of Evolution and Abiogenesis) from Atheism and naturalist speculation.This requires explaining the Scientific Method clearly, what is science and an explanation of the definition of what a ‘theory’ is in Science. This involves explaining its underlying assumptions, the limitations of its capability, and the uncertainty in the nature of the knowledge it produces (with historical examples).We need to de-mystify the relationship between religion and investigation of the material world, demonstrating with reference to history, how religion has not been an impediment to science, but actually a boon to it (e.g. the Islamic Golden Age, Catholic funding of the first European universities etc).Furthermore, there are many prominent historical and contemporary examples of Secular, materialist and Liberal thinkers, ideologues, who’ve engaged in censorship in academia and cases where capitalist interests which have impeded, coloured and obstructed Scientific investigation deemed non-beneficial for profit. Presenting a Clear and orthodox Islamic explanation of the evidences and facts. Muslims should explain that Islam does not have a position of animal evolution nor abiogenesis, so regardless of the veracity or not of the theory of animal evolution or the origin of life from inanimate materials (abiogenesis), they pose no challenge for orthodox Islamic beliefs (which are silent on the matter of ‘how’ God brought these about by His will).Islam can, in light of the physical and historical evidence, posit a plausible and impregnable explanation of the creation of Adam (a.s.) according to what can be understood from authentic Islamic sources. This includes presenting a number of plausible theories from the Islamic perspective that can explain the existence of hominid fossils. 8. Can Evolution Theory Challenge the Islamic Position on Adam (a.s.)? The simple answer is no, simply because it can’t. Firstly, science is the study of the immediate physical world. Science can’t study the past, because scientists (i.e. the observers) don’t live in the past to make their observations. What scientists tend to do, is look at the present, study the processes of change in how one object changes into another, and speculate (using the principle of cause and effect), what went before (i..e the cause of) the current world (i.e. the effect) assuming the processes of change were the same back in the past, as they are right now. The problem with materialist’s, however, is that they discount the possibility of the creator of the universe (while admitting that they can’t account for the universe’s existence), and they deny the possibility of the universe being created from nothing by the Creator (while admitting that they’d prefer to believe the universe popped out of nothing by itself). However, since the requirement for a creator is inescapable, the universe itself is proof that things really can be created from nothing. The question is, what was the origin of humans? Well the Quran posits that all modern humans are simply the ‘tribe of Adam [a.s.]’, and that Adam [a.s.] was the first of his tribe. Therefore, it is possible that other species existed that resembled us (i.e. hominds), but the Quran isn’t talking about these other ‘tribes’, only our tribe – the tribe of Adam [a.s.]. Unlike the American Christian movements, Muslims cannot speculate how old the earth is, nor how long the tribe of Adam [a.s.] has lived on this earth, nor when Adam [a.s.] existed. Any attempt to speculate on these matters -without clear evidences- will not avail the truth. Indeed, paleontologists regularly revise their speculations about how long humans have lived on earth, through constantly finding new fossil evidence dating back further and further into time. Furthermore, the idea of Anatomically Modern Humans [AMH] and Archaic Humans (e.g. Neanderthals) as separate species is hotly disputed, with a considerable degree of phenotypical (i.e. physical characteristics) and genetic overlap between AMH and Archaic Humans (and even evidence of interbreeding). What does this mean? It means that no one holds any certainty, and it is possible that both Archaic Humans and Anatomically Modern Humans are all developed from the same tree of Adam [a.s.]. Allahu Alim. As for the issue of similarities in genetics between humans and various animals, including retro-viral inclusions in similar places on the human genome. There could be a variety of explanations (e.g. genetic drift across species, preferential areas for retroviral inclusions in similar genomes across species etc), however here is one of the simplest which the story of Isa [a.s.] could illustrate. We know that Isa [a.s.] was born of a woman, but had no father. We know that humans require two chromosomes to live, so where did Isa [a.s.]’s Y-Chromosome come from? What as the genetics of the clay bird that Isa [a.s.] molded and then Allah [swt] made into a living bird? Well, since living things need genes, it would be possible to imagine that the bird had the same genes as other birds, and virtually exactly the same genes as birds of the same species it was made to resemble. Like the Y-Chromosome that made Isa [a.s.] male, would be the same as that of the Y-Chromosome of the males of his people, even though Isa [a.s.] never had a biological father to provide it. In essence, if Muslims can imagine that Allah [swt] made the entire universe from nothing, then it is even easier for us to encompass that Allah [swt] made man from clay, and made man living with similar genetics to the other creatures on earth whom Allah [swt] may have made through evolution. Likewise, the same for Isa [a.s.] and Isa’s clay bird. Say that the former-clay bird lived and interbred with other birds of its species, and if scientists researched the descendents of this former-clay bird, what would the genetics show? It would simply show that the birds descendants had the same genes as other birds of its type and species. If so, why would we expect Allah [swt] not to give Adam (a.s.) the same genes as other species, perhaps even pre-human species that Allah [swt] could have evolved into the form of human, who died out and were then replaced by the creating of the tribe of Adam [a.s.]? Ultimately, there are many possible explanations that Islam could provide for the current evidence claimed to support evolution, but the two concrete points that emerge is that Science can only speculate on the past or the future, and therefore considering that Science is limited to only imagining the possibility of processes it currently observes, it is unable to fathom the processes that could’ve been present in the past – more specifically the miraculous creation of Adam [a.s.] – who was made in similar likeness to the creatures Allah [swt] already made according to his [swt] will (e.g. two eyes, four limbs, spine, rib cage, lungs etc). Of course, any possible explanation would only be speculation, but the principle remains – Allah (swt) is fully capable of creating a human from clay as He (swt) was from giving life to a bird from clay. And whatever He (swt) creates would need a genome that was compatible with the eco-system they were to be inserted into, that He (swt) had already established on earth. And Allah (swt) is fully capable of bringing about what He (swt) wills. The Islamic position would therefore make all the same predictions about what kind of evidence we’ll find in our own genome, as much as evolutionists could ever claim is predicted by their assumption that humans weren’t first created outside material processes. And while people may continue to argue over speculations about how the first human being appeared, they can never have any certainty over something they simply did not, and cannot, directly see. ‹ Over 100 Killed on EID ul Adha – Where’s the revulsion by the Western Media? “Can Evolution Theory Challenge the Islamic Position on Adam (a.s.)? The simple answer is yes. It can and does. First of all,I would like to give my opinion. Evolution is DEFINITELY incompatible with Islam.In Islam,as we know God created 30 meters tall first human,then of his rib,God created Eve,btw Adam was created out of clay and God “put” spirit(soul) in him. Even the bigger problem is claim that humans will be gradualy decreasing in size,what means that we should fine fossil record of humans who were from 30 meters to 4 meters tall,would also like to mention Qur’anic story of Ad nation and shamless tries of Islamic media to “show” that Islam is right based on giant “human” sekelton,which really isn’t skeleton lf human,but actually skeleton of mammoth. What I also see as way bigger problem than all this,is Egyptian mythology. According to it,The ram-headed god Khnum, also known as “The Guardian of the Cataract” or “The Great Potter”, was one of the earliest Egyptian deities and was said to have created mankind from clay(there is a photo of it creating man from clay with *his hands*). And we know,according to some authentic hadiths which tell us the story of one event on the day of judgment. So,my point here isn’t to argue does Allah have hands or not,we know that Ummah is separated(some belive yes and some no),but the point is that Adam was created by Allah(or as hadiths say with his own hands). I saw you arguing that God could create humans with similar genetics to other animals. Well,it seems that you are completley unaware that we share about 98,5% of our DNA with Chimps,saying that God wanted to create animals and human with similar or nearly indentical DNA is really confusing. Further more,I’m sure that you’ve never heared of evidendes of evolution from genetics. Your claim becomes completley baseless(that God could make both with similar genetic code) since we on example know what chromosome 2 fusion is and what NANOG’s are. If you are saying that evolution didn’t really happen,but God created chimps and humans *ONLY* with the similar DNA,I wonder how would you answer on NANOG. You see,chimps and humans both have the same pseudogenes(and copying errors included) on the same,SAME places of chromosomes,that can ONLY be possible,if at some point of time they shared a common ancestor in whom these copying errors occured. Also,I assume you know that we have 23 pairs of chromosomes,while chimpanzees have 24 pairs.Based on that,theory of evolution is even further proved.We now know that two chromosomes(in great apes) fused and created one particular chromosome,chromosome #2 of humans. That discovery was so precise,that know we even know on what bases it happend. To finish my answer,you mentioned that Darwin’s theory was changed number of times in order to suit evidences. Well,that can be true and untrue. First of all,nobody says that Darwin was God or Prophet,so that he couldn’t make a mistake,dude was human being,he didn’t know a lot,but his mechanisms are truly amazing. As you pointed out,similar theories exsisted even before Darwin,point is,unlike religion,science DOES change. True miracle is that after 150 years of desperate tries of religous people to debunk it,theory of evolution becomes more and more factual as we discover more and more data. So yes,Darwin made predictions which we’ve found,there are also supporting evidences from genetics,which are the best ones in my opinion,because Darwin didn’t know anything about genetics. Btw,I forgot to mention something. You said that we cannot speculate how old the Earth is since we don’t have bases for that. I don’t think that’s the case.In one Sahih hadith it is stated that Mohammed said that between Adam and Noah were 10 qarns(generations). Based on calculations,Noah lived some 4000 years ago,even if one generation of humans was let’s say 1.000.000 years,what’s definitely not the case(2000 years is maximum),you still get 10.000.000 between Adam and Noah plus 4.000 years between Noah and us,so you barely get 10.000.000 years while the Earth is actually about 4.5 billion years old. The time gap between us and Adam has nothing to do with how old is the earth. the Quran does not say that Adam was created on earth as soon as earth was created. the earth existed for a long time before Adam was created.